In last tutorial we lay out the procedures to build our multi-topic websites. Before we target the first item on the list: modify header and footer, let’s learn some practical Bootstrap basics, as this tutorial uses heavily of this tool to make the website responsive. 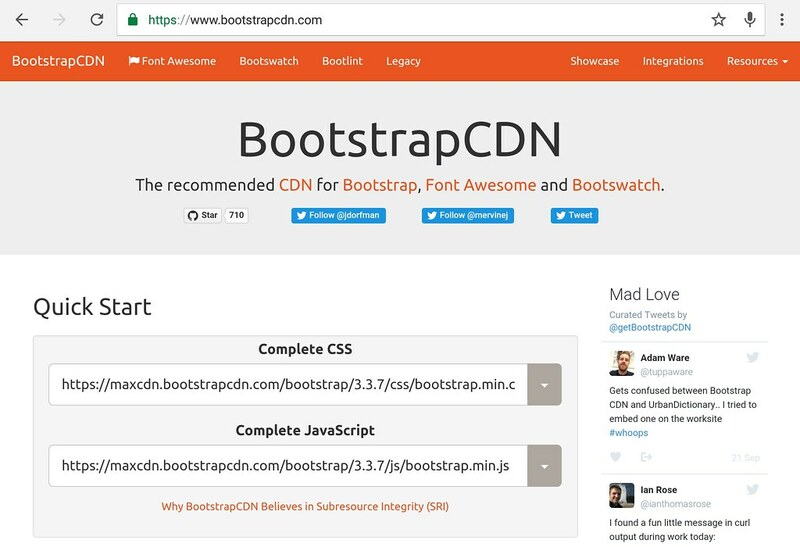 You don’t need to install Bootstrap on your server. Rather you can utilize the Content Delivery Network — network of servers specialized in delivering any kind of content fast and reliable, including libraries — and HTML’s <link> tag, to load Bootstrap dynamically on viewer’s browser. You will see these again when we modify wordpress’ header.php and footer.php . 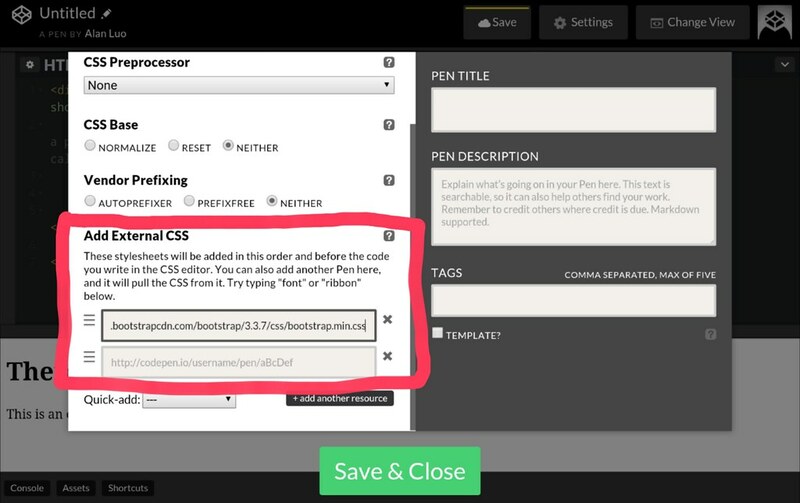 For other ways of installing Bootstrap, see Bootstrap’s Getting Started page. We will see more examples when we modify template files. Bootstrap’s grid structure is where the responsive magic happens. As the name suggested a grid is rectangular areas called “columns” arranged into a matrix, like an Excel table. The difference between a Bootstrap grid and a regular table is that columns automatically re-arrange themselves based on device’s screen size, making the website “responsive”. The <div class="row"> specifies one row of grid. It’s like the <tr> tag for html table. Create another <div class="row"> tag to add another row. Each <div class="col-md-3"> tag specifies a rectangular area “column”. The main area identifier is col-. -md- specifies this grid as a medium column type. Different types will rearrange themselves at different screen sizes. -3 specifies the relative size of this column. The whole row size is 12, so 3 means that when the row is not re-arranged the width is 3/12 = 25% of the row. The number sum of columns in one row needs not to be 12. If less than 12 there will be extra space at the right most column. You can further use the offset-md-x , (x is a number) class to create offsets among the column. Common usage is to leave white space at two sides of a blog post. 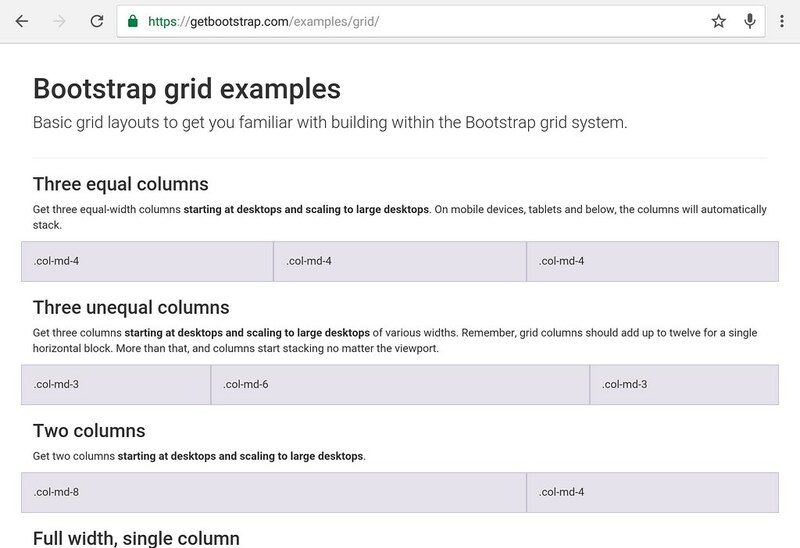 For more detailed grid manipulation, consult Bootstrap Grid System page. 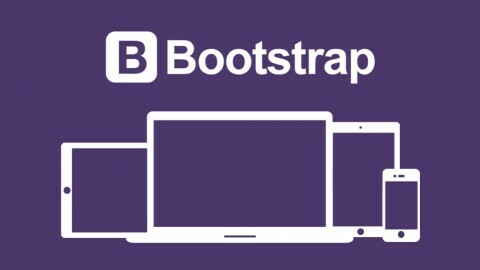 The Bootstrap official site has many great templates which you can directly copy and modify to use Bootstrap’s components. 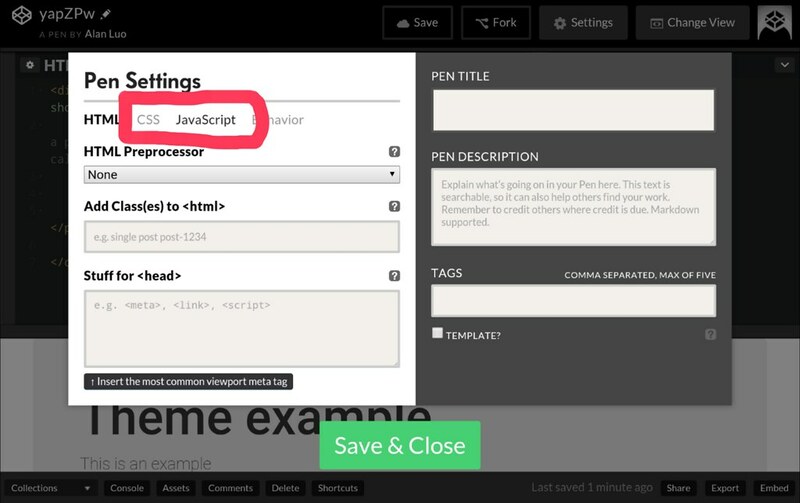 To do so, go to the example section, open one of the example, and right click to select “view source”. The source is where you can directly get the codes. 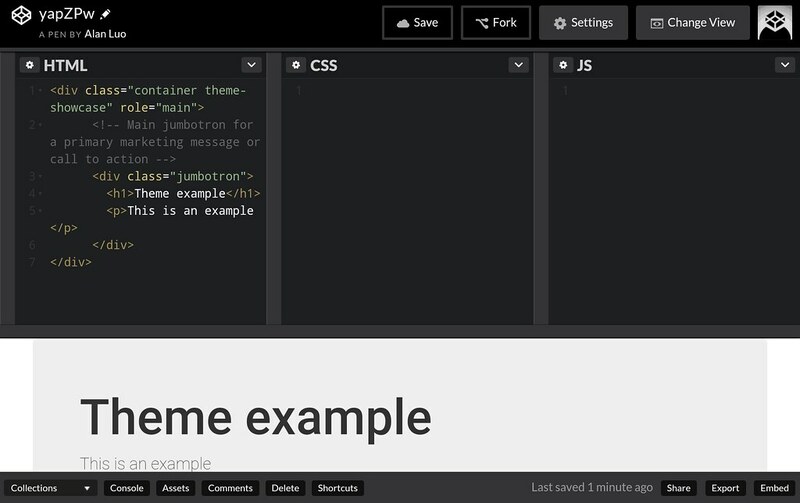 Here is a codepen Bootstrap example.